For a good portion of the UBC Thunderbirds swim team, there won’t be much of a summer break coming when exams are over. 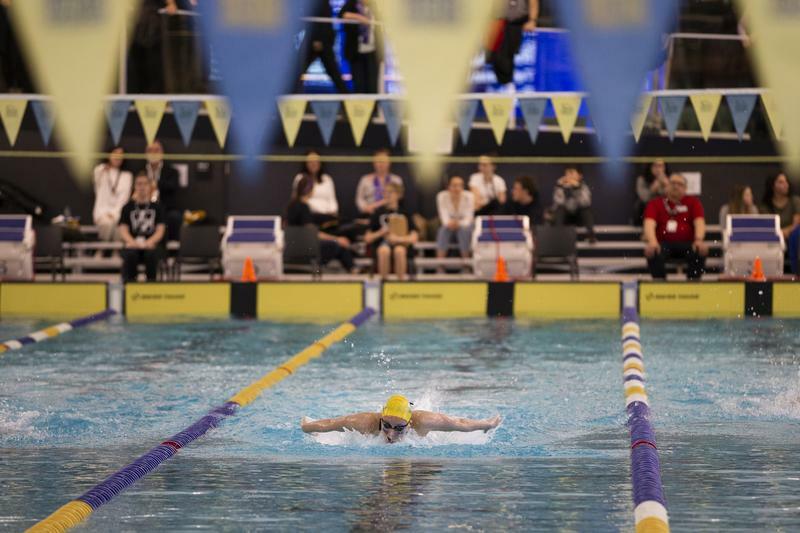 Three high profile competitions and three separate national squads, picked by Swimming Canada this past weekend at the annual Canadian Swimming Trials held in Toronto, feature some of UBC’s best and brightest. A total of 15 current and former Thunderbirds will be competing this summer for Canada or their country of birth. The summer schedule includes the 2019 FINA (International Swimming Federation) World Aquatics Championships in Gwangju, South Korea, the 28th Pan American Games in Lima, Peru, and the 30th Universiade Games in Naples, Italy. Racing in Gwangju at the World Championships will be Markus Thormeyer, Emily Overholt, Alex Pratt, Josiah Binnema as well as recent alumni Carson Olafson and Yuri Kisil. Team manager Janice Hanan and former Thunderbirds coach and current Vancouver High Performance Center coach Tom Johnson will also accompany the team to South Korea. Thormeyer put on a dominating performance at trials, winning four events — the 100- and 200- metre freestyle and backstroke events — and setting a personal best of 1:47.60 in the 200-metre freestyle and a new Canadian record in the 100-metre backstroke with a time of 53.35. Going to Lima for the Pan Ams will be Erika Seltenreich-Hodgson, another recent alumni and 2016 Olympian for Team Canada. It will be her second time competing at the Pan Ams, having captured a bronze medal in the 4x200 metre freestyle relay at the 2015 edition held in Toronto. Travelling to Naples will be the biggest Thunderbirds contingent of all three competitions, with Hillary Metcalfe, Ingrid Wilm, Olivia Ellard, Megan Dalke, Jaren LeFranc, Dima Lim and Hau Li Fan all participating in their first Universiade Games. Coming along for the ride is current Thunderbirds assistant coach Derrick Schoof who will take on the head coaching role for the July games. Hau Li Fan will also be trying to join the World Championship squad as part of the open water swim team. He’ll be competing in the 10km open water event at the Canadian Open Water Trials in the Cayman Islands at the end of the month to try an make the cut. Hoi Lam Karen Tam, the Thunderbirds 50- and 100- metre freestyle specialist will also be competing at the Universiade for Hong Kong. She still has about a month left to try and make the FINA qualifying standard in order to also represent Hong Kong at the World Championships. Coming off one of their most successful seasons in U Sports yet, the ’Birds will hope to add some international hardware to their double Canada West conference and U Sports national championships in 2019.